This week we turn the spotlight onto the horse who finally came good in Group 1 company in the Qatar Sussex Stakes. If at first you don’t succeed, try and try again. Lightning Spear seemed likely to be remembered as a Champions Series “nearly horse” until finally gaining a hugely deserved Group 1 victory in the Qatar Sussex Stakes last summer. 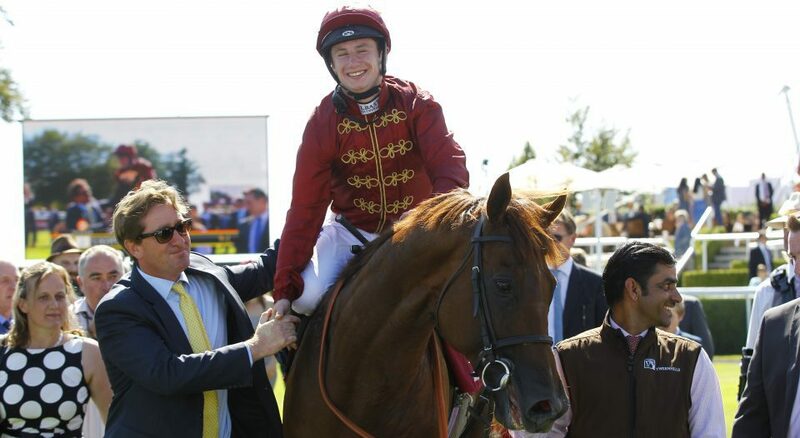 The seven-year-old had been previously placed in six races at the highest level – all Champions Series races – but a victory at the top table had eluded him until it finally all came right at Goodwood under regular rider Oisin Murphy. He travelled typically well in the mile feature and quickened clear when invited to put his stamp on things. At the line, he had a length to spare over Expert Eye, the subsequent Breeders’ Cup Mile winner, and in an instant 15 previous defeats in Group 1 races were forgotten. His owners, Qatar Racing, must have despaired of him ever enjoying his day in the sun. On his return in 2018, he was pipped a short head by Rhododendron in the Al Shaqab Lockinge Stakes at Newbury – the pair clear – and then he finished a close third in the Queen Anne Stakes at Royal Ascot after trading at 1-7 in-running on Betfair. He had also finished third in the 2016 renewal behind Tepin and later that year was an excellent third to Minding and Ribchester in the QIPCO-sponsored Queen Elizabeth II Stakes. The first two, Minding and Ribchester, raced near the pace on the far side, while Lightning Spear was held up on the near side before making a late move. He finished strongly and was half a length and a length behind the first two, at odds of 9/1. In 2017, he chased home Ribchester in the Al Shaqab Lockinge Stakes on his return and in the summer finished under a length third behind Here Comes When and Ribchester in the Qatar Sussex Stakes after looking the winner inside the final furlong. In between all the near-misses he won the Group 2 Celebration Mile on two occasions at Goodwood. After the biggest win of his career, which sealed his place at stud, he was unable to land a blow in the Prix du Moulin at Paris Longchamp or Queen Elizabeth II Stakes. On his final start he was beaten under three lengths in the Breeders’ Cup Mile. In total, the handsome and apparently well-mannered son of Pivotal, who cost 240,000gns as a yearling, raced 27 times. He made his (winning) debut for Ralph Beckett before being trained by Olly Stevens in 2014 and 2015; then raced for Simcock. He seemed effective on all types of ground, ran well fresh and at his peak had an official rating of 120. Half of the eight runners represented the Classic generation, with Without Parole, the St James’s Palace Stakes winner, being sent off 7/4 favourite. Two other three-year-olds, Expert Eye (4/1) and Gustav Klimt (13/2), were also well fancied with Beat The Bank (9/2) the shortest-priced of the older brigade. A muddling gallop was set by Without Parole but the writing was on the wall for him two furlongs out as he came under a ride. As he faded, Expert Eye came through to lead a furlong out but Lightning Spear, who travelled strongly throughout, was still full of running and when a gap presented itself he burst through and won going away by a length and a half. Expert Eye held on for second, with Lord Glitters just holding off Gustav Klimt for third. “Lightning Spear has done very little wrong apart from win a Group 1 up until now,” Simcock said. “He is a lovely horse to train and a lot of work goes into him. He has never really let us down, though he was little bit inconsistent last season. To win a Group 1 is not easy and you have to accept it. “I am more pleased for the horse than anybody. It is great for Sheikh Fahad, the Qatar Racing team, the yard, but for the horse to get his Group 1 like that is great. “I do as I’m told with this horse as Jennie [Simcock’s wife] rides him every day and she does a wonderful job with him. I don’t think Lightning Spear would be here today without her. “This horse needs to win a Group 1 because he’s the most beautiful physical specimen with a good temperament and the pedigree. If we can get a Group 1 in the UK he would deserve his place at stud and, realistically, he would be an exciting stallion prospect. Lightning Spear will stand at Tweenhills Stud in Gloucestershire. His initial covering fee has been set at £8,500. If nothing else, a handsome horse or two with an even temperament. Lightning Spear was blessed with both of those qualities. He boats a useful pedigree himself – by Pivotal out of a dam who showed her best form at sprint distances – and was in his element over a mile. Indeed, if he is to breed a British Classic winner, it is far more likely to be over a mile than over middle distances. He seemed to find the stiff mile at Ascot stretching him to limit on occasions, for all he ran some cracking races there, and perhaps it was no coincidence that his three biggest triumphs came over the same trip at Goodwood, which placed less emphasis on his stamina. Lightning Spear did not seem the easiest to train in his early days – he was absent 426 days after winning on his debut as a two-year-old – but was subsequently tough and reliable. It says much for his disposition that, even as a seven-year-old entire, he seemed pretty much as good as ever.